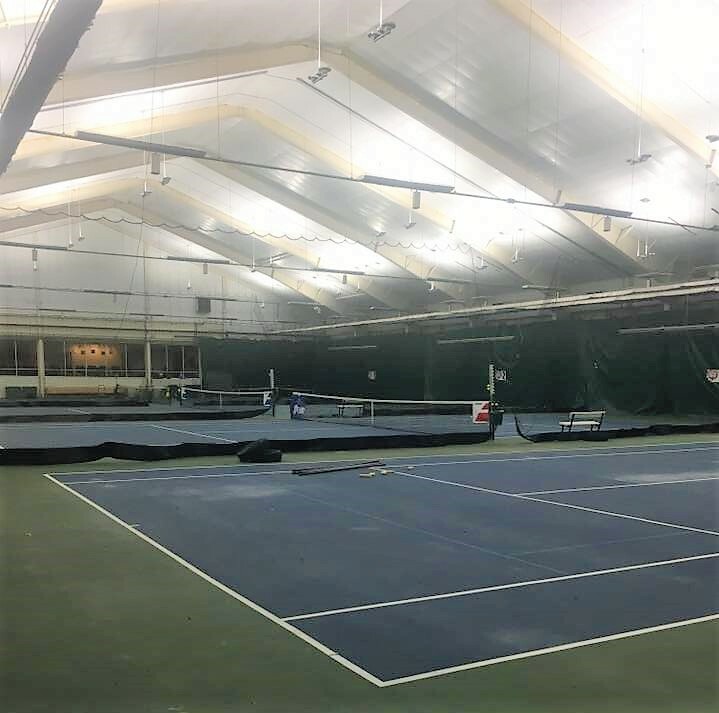 After installing our LED lighting system at Genesis Health Club - Lincoln Nebraska location, our crew is returning to install reflective ceiling liner on their ceiling and walls. Our lighting has already been a hugely beneficial to the club members and the liner will only increase the light levels. This picture was captured as they were making progress on moving the athletic center out of the tennis court area. A lot of exciting developments are taking place and we are privileged to be part of the remodel! To visit their website click here. To learn more about our reflective ceiling liner, click here! Check back to see the photos of the finished project.